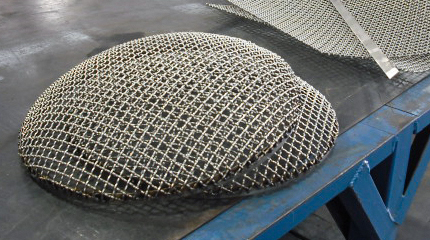 Whether you prefer to call it wire cloth or wire mesh, this strong yet remarkably versatile material can be used for a variety of protection and support manufacturing applications. 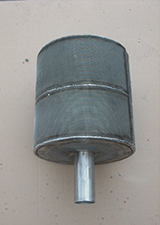 Wire mesh can be welded or woven. It can be formed into various shapes by cutting or bending the wire, while the latter features an interlocking pattern that results in a higher-quality product. Both types can be used effectively with numerous types of metal, including copper, aluminum and stainless steel, to mention just a few. Marco Specialty Steel is your headquarters for an extensive selection of stock wire-cloth products for companies across a broad spectrum of industries, including refining, offshore drilling, aerospace, heavy equipment and wind power. 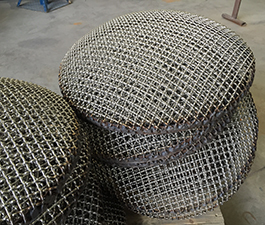 We have the capability to provide custom wire mesh/cloth solutions to create the specialized product your business needs. We will develop and fabricate a product with the ideal shape, mesh size, mesh count and/or weave type for virtually any application. Marco Specialty Steel provides custom architectural wire-cloth fabrication services to meet the demands of architects, engineers and other design professionals. Our custom products will provide the design and safety benefits required for applications such as stair rails, parking garages and fall protection. Our modern 35,000-square-foot Houston facility includes a fully equipped, state-of-the-art fabrication shop where we can transform any stock wire product into the customized solution that will meet your exact requirements. Our fabrication shop features the latest equipment — such as saws, shears, rollers and welding machinery — that can accommodate just about any type of custom wire-cloth fabrication project. Just as important, our staff will work with your existing drawings or blueprints to deliver the result you are looking for. 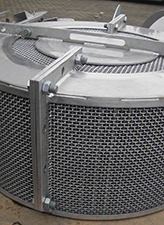 Marco Specialty Steel has been providing fast, reliable wire cloth fabrications since 1992. 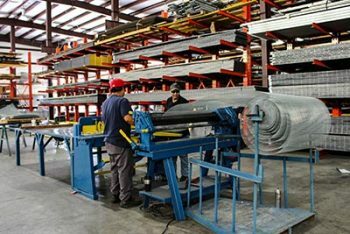 Over the course of a quarter-century in business, we’ve established a stellar reputation as one of the top specialty-steel solutions providers in the USA. What’s more, we implement the most stringent quality control procedures for every project. 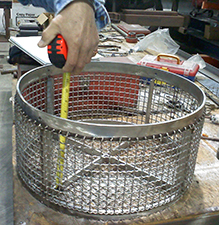 Contact us for more information about our custom wire-mesh fabrication services and to get a no-obligation project quote today.